In just his second game as a Cardinal, King looked to justify the double arches hype surrounding his arrival on the Belknap campus. At some point early on, before Deng Adel broke out of his slump — his first three touches were a short armed fastbreak layup, a missed catch on an alley oop, and an airballed trey — I jotted in my notes, “King>Adel,” meaning I was wondering if King isn’t better already at the 3? Then Adel moved on from his disappointing performance in the opener, and in the opening minutes of the W&M tilt, ending up with 16 points, 5 carom retrievals and 5 assists. 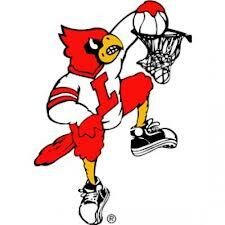 Plus at the end of the first half, the best Cardinal at the charity stripe drained five straight FTs, kicking off Louisville’s gamebreaking 20-2 run, after the visitors had cut the lead to 34-31. It’s noteworthy that at the 12:40 mark of the second stanza, The Rick, for the first time, had King and Adel on the court simultaneously. Along with Donovan Mitchell (soon replaced by Quentin Snider) at point, Ray Spalding and Mangok Mathiang. U of L’s game against The Tribe overall was considerably more heartening than the mediocre effort against a considerably less talented Evansville squad in the opener. For the first time in the two exhis and two real games, the offense seemed to mesh a bit better. Though it still has a long way to go before the Cards are any kind of legit national contender. The visitors cut the Cardinal lead to three with 2:13 to play before halftime. But they didn’t score again until 3:53 had lapsed after the intermission. During that six minute plus interlude, Louisville scored 16. William & Mary, though it remained true to its offense and game plan, never recovered. Obviously, U of L’s 11 blocks and 10 steals not only affected that result, but gave indication that the new man to man scheme is starting to mesh, even if it also has a lot of improving to do. While it is still way early in the campaign, one thing seems apparent. At least to this point. The serendipity that was the leadership and play of fifth year transfers Trey Lewis and Damion Lee cannot be expected every time one or more of these older guys joins the program. Tony Hicks may have been dominant in the Ivy League, playing in one of the game’s hallowed venues, the Palestra, but he still has much to learn to fit in the Louisville Cardinals scheme. It wasn’t simply his 1/9 shooting last night that concerns, it’s that his inclination is to force matters. He has the classic scorers mentality, instead of seeing the court and finding the open man in the weakside corner or for a little inside drive and dish, he goes for the bucket. He did have three assists in 11 minutes of action. But his +/- of 0 hardly compared with that of the other Cardinal point guards. Q was +30. DM was a team leading +33. Pulled down by Mango’s 1/6 FT shooting, the Cards hit only 15/25 (60%) at the line. Too many whistles. Way way way way way too many whistles. 44 fouls called. Five players with four fouls. Watching a few other games on TV, it seems again, as it was several seasons ago, a bothersome, numbing pattern. Next: Long Beach State. Thursday. 4:00. The opener of a day/ night, hoops/ pigskin double bill.